Aromatherapy (treatment using scents) helps in relieving symptoms of various problems affecting the heart and strengthens the resistance of heart in combating such diseases. Aromatherapy is a holistic treatment that takes care of the heart and the body by using certain pleasant smelling oils like lemon, rose, peppermint and lavender. These essential oils are either used for direct inhalation, or added to water used for bathing, or massaged into the skin or used as air fresheners in the rooms. 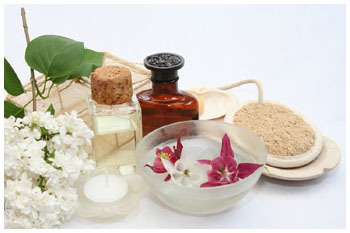 Aromatherapy is also used for alleviating tension, fatigue, pain relief, reducing stress and for body rejuvenation. The aromatic essence of the essential oils derived from plants, flowers, fruits, bark and seeds have a healing effect, both on the mind and body and prevent illnesses. Most of these oils are anti-viral, antiseptic, diuretic, anti-depressant and expectorants. They also help in relaxation, stimulation, improving digestion. Aromatherapy is now being used increasingly at home, hospitals and clinics as a pain relief for women in labor pain and for relieving pain and other side effects of Chemotherapy used in treating Cancer and also in treating cardiac patients. As odors have a direct impact on how one feels, the essential oils used in Aromatherapy are also now being used in treating patients who are unable to feel the sense of smell. Also studies have indicated that a life without the sense of smell could lead to increased incidents of depression and anxiety. Studies have shown that as all our emotions and moods are controlled by brain and smelling certain essential oils can have a positive impact on the body. For instance, smelling lavender stimulates the alpha waves which induces relaxation. Similarly Jasmine fragrance stimulates beta waves in front of head which induces alertness. In recent years, Aromatherapy is getting into the forefront. It is said that in Japan Engineers are applying the system of aroma to new buildings. For instance, the aroma of lavender when diffused into the reception area, helped in calming down the anxious customers and smells of eucalyptus and lemon are being used in Bank counters to help the staff in remaining alert.